Information is the centre of Sherlock’s work, and when an agent of chaos like Moriarty throws a wrench in that well-oiled machine, it’s only a matter of time before the “grit in [the] sensitive instrument” gets cleared out. But what if Sherlock’s adversary isn’t a brash chaotic goon for the sake of anarchy, but the brilliant head of a well-oiled machine himself? 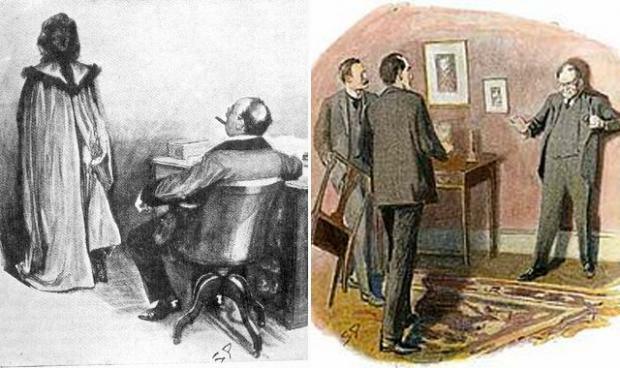 Such is Magnussen, adapted from the Charles Augustus Milverton of the so-titled original story. Like Moriarty, Magnussen (Milverton) only appears in one short story in the Doyle canon but Mofftiss have decided to expand this villain into more than just a one-off obstacle, and give him a hefty story arc in his own right. Moriarty’s having a great time, causing havoc and chaos. He’s loving it – you can tell, and he actually admits it. He’s rather like a slightly lighter version of Heath Ledger’s Joker in The Dark Knight: he’s a villain for the fun of it. For Magnussen, it’s all about the profit. And the power. 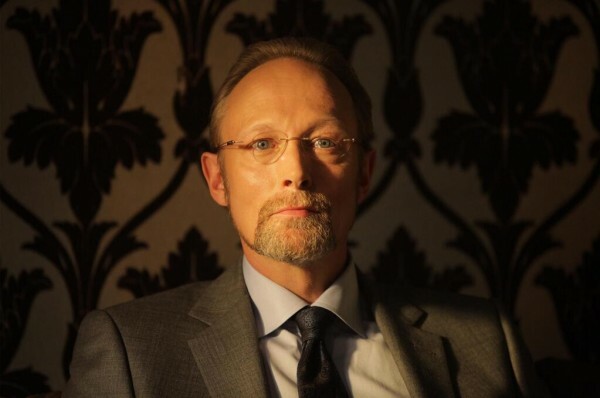 Magnussen would never have rigged the labyrinthine plot for Sherlock that Moriarty did in The Great Game – he would regard doing so a complete waste of his time. So would the over-elaborate, personal vendetta of ruining Sherlock’s reputation. He wouldn’t have wanted Sherlock to kill himself, rather he would have simply ruined his reputation with a few lines in his newspaper and then used him as the goose who lays golden eggs. Magnussen does not get personally involved, doesn’t take revenge, but rather gathers the information he needs, collects it with precision, and is even (we learn from the original story) willing to sit on a tidbit for years till just the right moment. 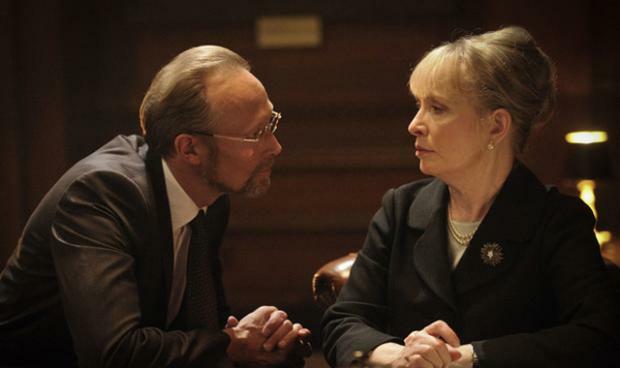 This is why we don’t hear of him till Series Three – Sherlock and gang don’t concern him at all till Lady Smallwood includes them, but when that happens, Magnussen appears immediately with all his deadly weapons in play. But I would aver that Andrew Scott’s Moriarty is not a parallel to Sherlock, but a contrast. The only thing the two share is a determination to do whatever must be done to accomplish their objectives. This series does not portray them as fencing to a draw as equals, but more of (again) a Batman vs Joker type dynamic. This of course makes him highly dangerous but it’s not a matter of intellectual equality, more that Moriarty does the unexpected and throws Sherlock for a loop. Not so with Magnussen. He is just as emotionally disattached as Sherlock (perhaps more so as by Series Three Sherlock has definitely gained an emotional attachment to John, Mrs. Hudson, Molly et al) and has the same intellectual capacity – for evidence, look no further than his mind palace. I’ll bet you a deerstalker that Moriarty has no mind palace. That one fact about Magnussen is what makes him the deadliest foe Sherlock has yet faced, and of course there’s only one way to vanquish such an enemy. Magnussen’s only mistake was not predicting that bit of Moriarty in Sherlock: that he was “willing to burn,” and that was his downfall. I actually agree with you here. The way Moriarty has been presented in this version of Sherlock is that contrast and in many aspects Sherlock seems to want to solve the mystery behind the manic clown. However with Magnussen, he seemed genuinely perturbed at the seeming lack of solution, to the point that he acted in the purest desperation. Think about the different ways the villains were dispatched. I think Moriarty is more dangerous simply because not only is he crazy, but he has the power and the influence to cause a lot of damage on a whim. 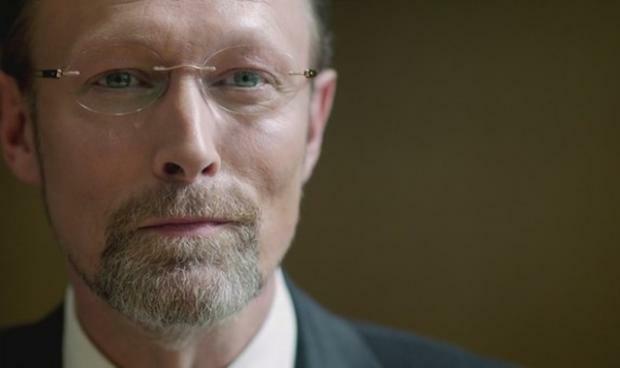 Magnussen has that power and has the brains but he doesn’t act on impulse. 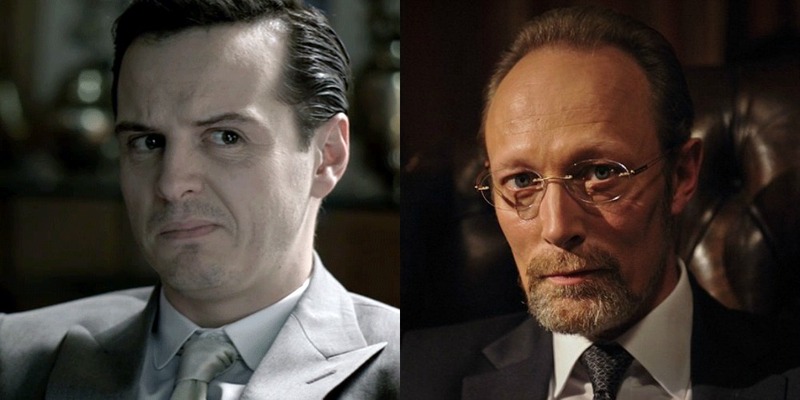 Moriarty’s controlled chaos is far more dangerous than Magnussen’s cold order because of the collateral damage.